Up to 25% Off Select Lighting and Ceiling Fans. Offer ends 4/24/19. Up to 20% OFF Select Jacuzzi Tubs. Offer ends 4/24/19. Up to 30% off on Select Werner Ladders. Offer ends 4/24/19. Up to 40% off Select Tools and Accessories. Offer ends 4/24/19. QuickStep Studio Wood Plank Laminate Flooring Starting at $2.29 per sq ft. Offer ends 4/24/19. 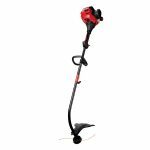 50% off Troy Bilt Outdoor Power Equipment. Out with the Old Spring Clearance! While supplies last, offer ends 5/1/19. Up to 15% OFF Select Countertops. Exclusions Apply. Selection varies by location. Offer ends 5/1/19. FREE Carpet Installation of any Special Order Carpet with Pad Purchase $699 or more. Offer ends 7/10/19. These coupons and deals for Lowes have expired but may still work. 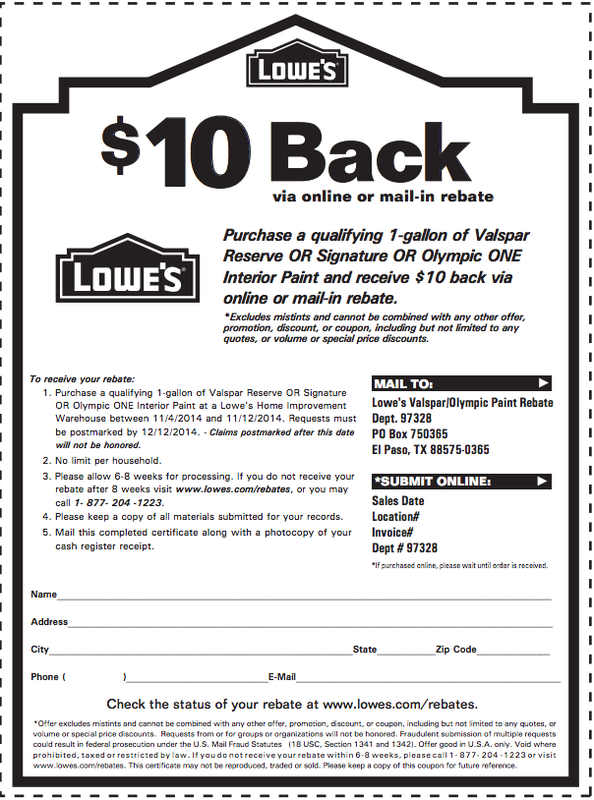 Receive $10 cash back via online or mail-in rebate with purchase of 1 gallon of Valspar Reserve, Signature or Olympic ONE interior paint. Lowes is a leading home improvement company.